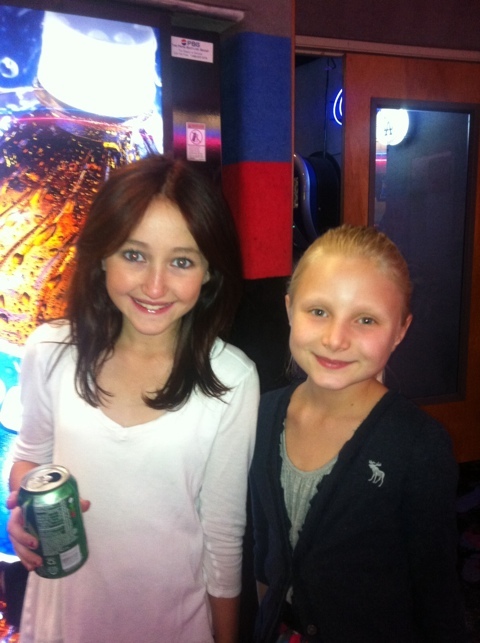 Jordan Van Vranken is a beautiful, healthy teenager who is an actress and performer living in Southern California. A school mate she knew was diagnosed with cancer and went into remission. However, another child at her school who also had cancer wasn’t as fortunate and passed away. 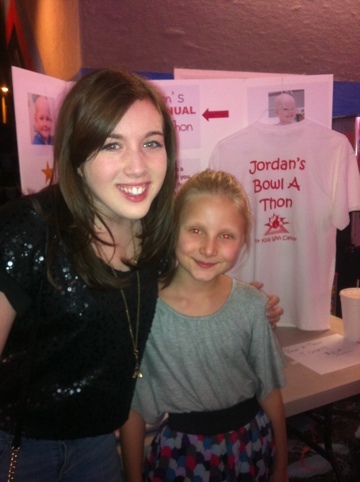 Jordan was determined to make a difference for kids with cancer and their families! 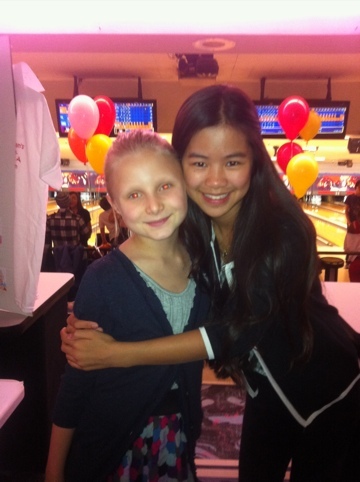 On January 15, she hosted a charity event at a bowling alley, Corbin Bowl, in the San Fernando Valley. Guests were encouraged to donate money to bowl, buy raffle tickets, and specially designed T shirts. Local businesses like Sky High, Soups, and Forever 21, donated prizes. 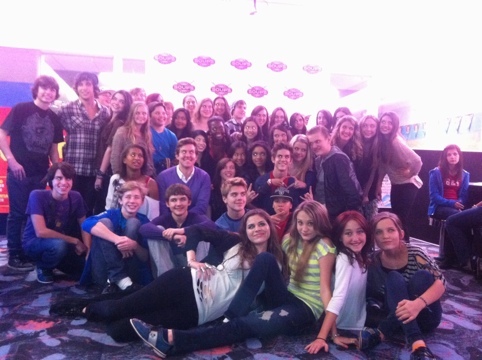 Celebrity guests included Tiffany Espensen, Noah Cyrus, Zach Calliston, Joey Luthman, and Justin Inucci among others. It was a great turnout and Jordan plans on donating all the money to the Ronald McDonald House. Families of sick children stay in these homes near hospitals so they can be near their children as they get the life saving treatment they need! I think it was really great of Jordan and her celebrity friends to take time out of their busy schedules for kids struggling with life threatening illnesses. Bucket and Skinner’s Epic Adventures Premieres July 1, 2011. Bucket and Skinner’s Epic Adventures Premieres July 1, 2011. , a set on Flickr. Bucket and Skinner is a new Nickelodeon series premiering July 1, 2011. It’s about two surf boarders who are best friends. I’ve met the stars many times including at the Teen Choice Awards, tapings, Ariana Grande’s 18th Birthday party and Lollipop Game Day! In the one episode called #EpicElection Skinner (Taylor Gray) falls for Kelly (Ashley Argota) so his buddy Bucket (Dillon Lane) nominates him for class President. He runs against Aloe, a popular athlete played by Glenn McCuen. Bucket needs help and asks Piper (Tiffany Espensen) to help him. I’ve been to two tapings. Each show has the word Epic in the title. At the tapings the audience sees one show on the monitors as the audience is getting seated and settled. At the first taping, we saw #EpicElection episode and watched them tape #EpicBobo. In that episode, Uncle Three Pieces’ surf board gets ruined and the guys try to hide the facts from him. Piper gets into the act trying to find clues CSI style. It was really funny!! At the second taping, we watched #EpicBrain on the monitors. In this episode, the guys get placed in a gifted program due to a mix up on some tests. They have to prove how smart they are by making a special science project. Then we watched them tape #Epic Showdown. In that episode, Aloe’s sister Vera, comes to town and we see how jealous he is of her. Also, the boys have to deal with a bully and they have Binner come to help them. The show is really funny! The four main characters are so talented and Glen and DC are pretty entertaining causing problems for the guys! We’ve met, interviewed and know Ashley and Tiffany. We are so happy for them and know that you guys are gonna love this show! They were both cover girls for Dreamagazine! Taylor, Dillon, Aloe and DC are all new to being famous and are so sweet. Follow them all on Twitter and show your love and support. TUNE IN TOMORROW NIGHT! THE SHOW PREMIERES JULY 1, 2011. I hope you liked this blog! My mom and I work hard on them! I have tons of exclusive pics and vids on Flilckr. I also have lots of blogs about shows, actresses, actors, charities and events! I like to try to help you meet stars.